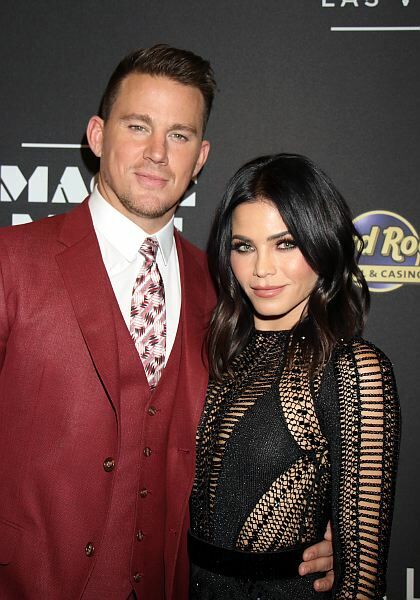 Channing Tatum and Jenna Dewan, who married in 2009 after meeting in 2005 when they co-starred together in Step Up (2006), have split. They have a four-year-old daughter, Everly, together. 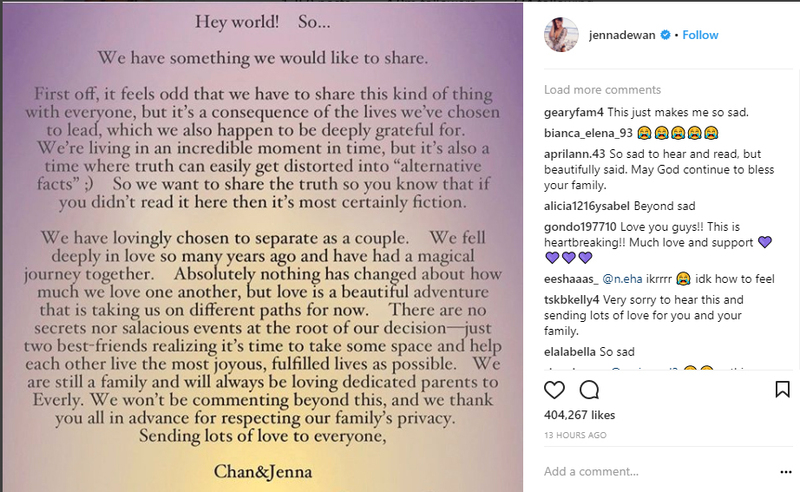 Last night, both Channing and Jenna posted the news in a photograph on their Instagram accounts, which can be viewed below. A source told the New York Post‘s gossip column, Page Six, that the reason for the split was that the two actors had spent so much time apart due to their jobs. “Channing has been working non-stop, with four movies announced for 2018 alone. It is hard on a marriage to be apart so much, especially when you have a young child. Plus Jenna is in pre-production for the movie, Berlin I Love You,” the source is quoted as saying. Rumors began swirling when Jenna showed up at the Vanity Fair post-Oscars party without Channing, but she told the media at the time that Channing was at home with their daughter so she could enjoy a “girl’s night” out. “B” list and “C” list. No one cares. Are you kidding? He’s a big star. Maybe her not as much, but he’s A list. And that is probably the problem. I bet he cheated on her. Many times. Just saying. It is sad when any marriage ends, unless there is abuse involved which there is NOT, but you people are really cruel. Just because neither is what you would call A List actors you feel you can just teaar them down. Easy to be cruel when hiding behind your pc/smart phone, or tablet. The web has become a ” bully haven” and it really is a shame. It is sad when any marriage ends. After announcing their separation last March, Oscar-winning actor Casey Affleck is splitting from his wife, Summer Phoenix, after Summer filed for divorce.